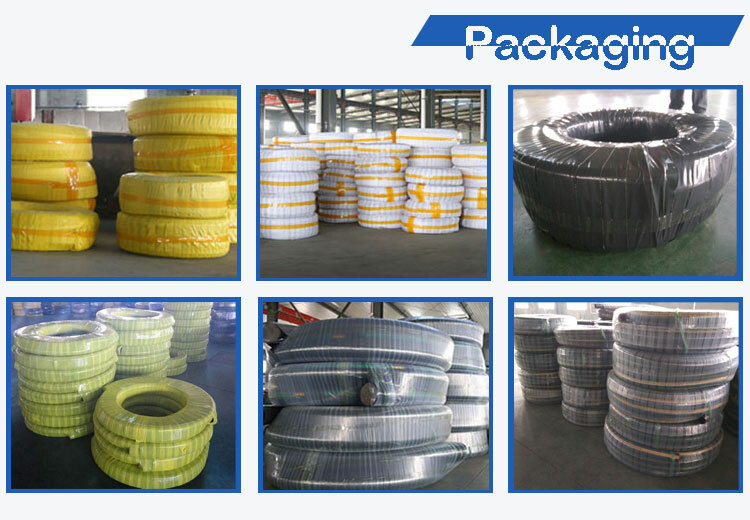 Bulk Material S/D Hose-Material handling hose--Hebei Orient Rubber & Plastic Co., Ltd.
Cover: Black synthetic rubber, fabric impression, corrugated or smooth. 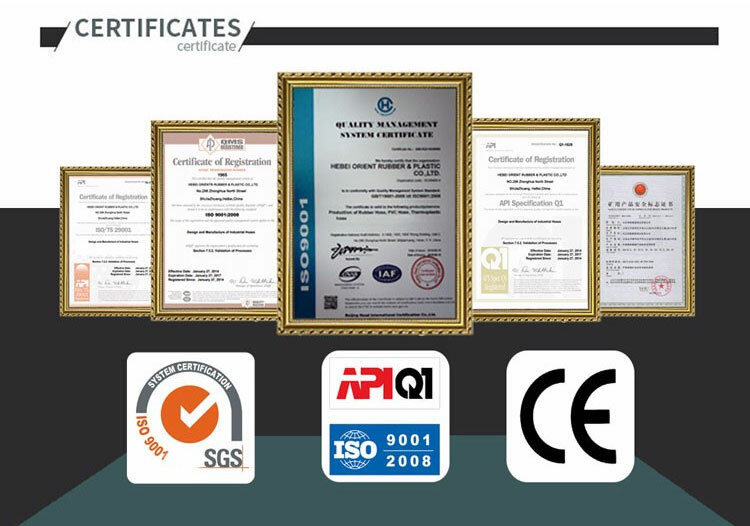 For suction, discharge or gravity flow of abrasives, dry cement, sand, gravel etc from manufacturing, sandblast recovery, mineral processing, power plants. 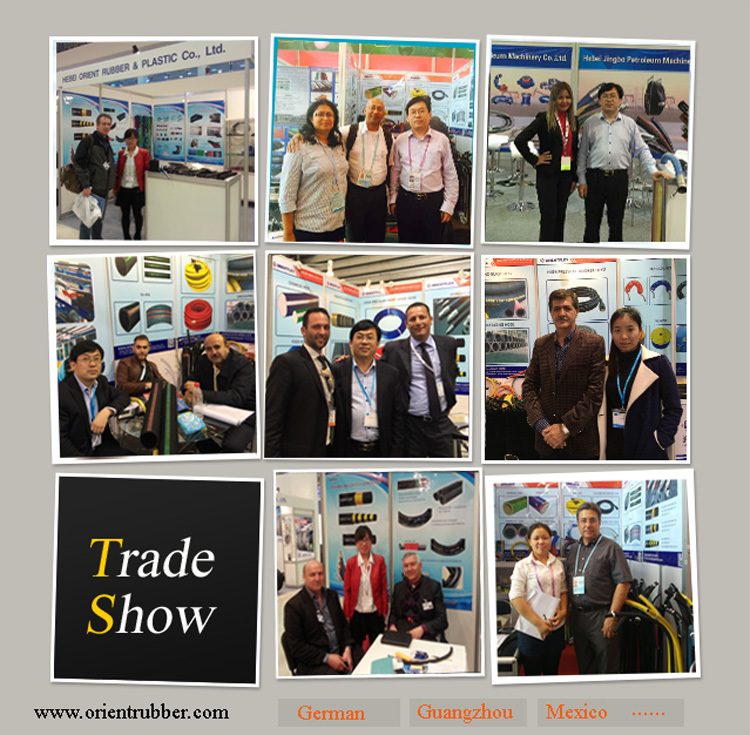 ● Weather and ozone resistant. 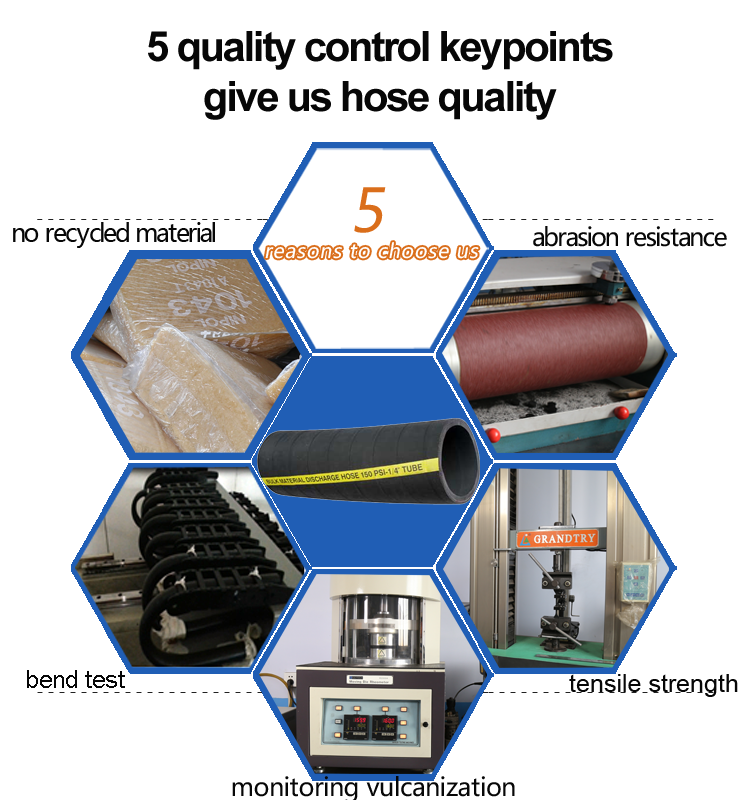 Production: Advanced technology and equipment to make the best quality rubber bulk material hose. 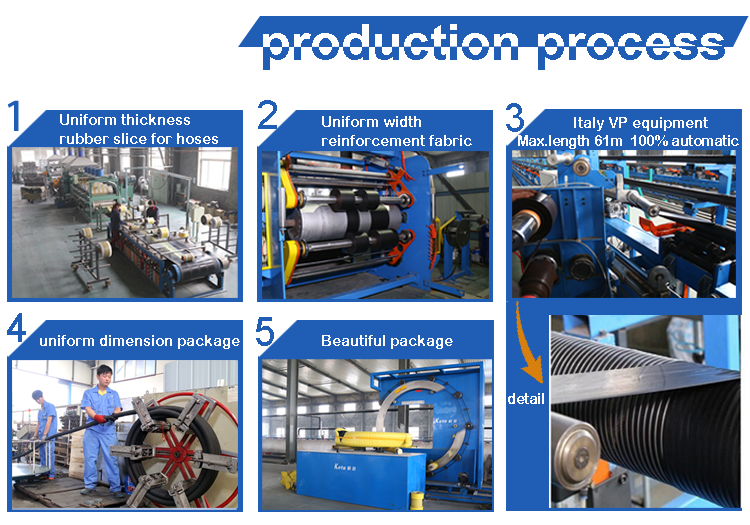 After finishing the bulk material hose production, we will pack the hose.